These earrings are made of genuine lapis lazuli and sterling silver. 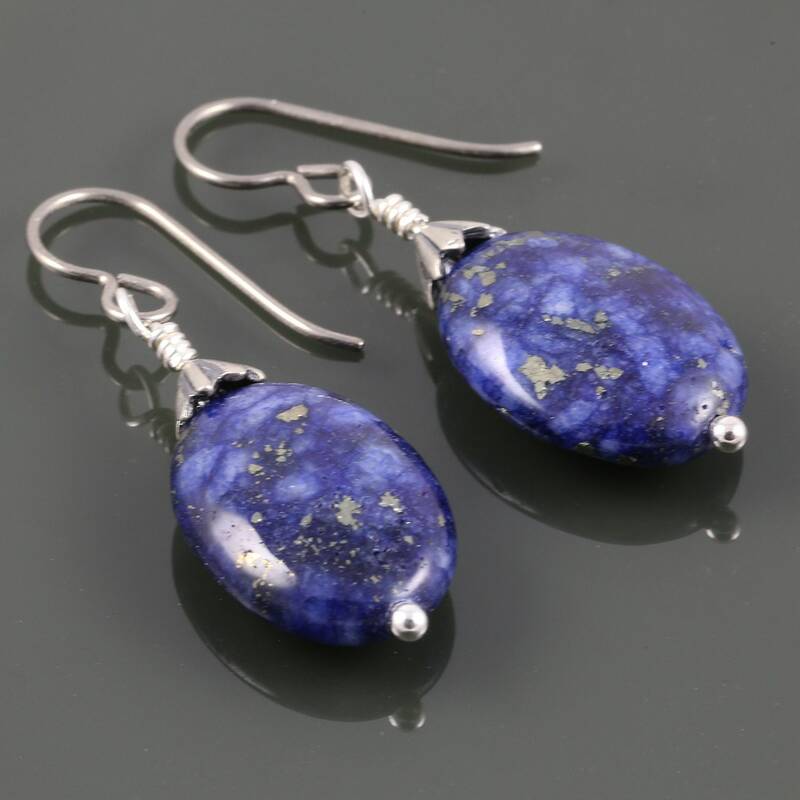 The lapis is gorgeous, with a pattern of dark and light blue and golden colored flecks of pyrite across the stone. They are oval shaped stones. The earrings measure about 1.5 inches (4.0cm) in overall length. These earrings have hypoallergenic titanium ear wires. I can swap out the ear wires shown for sterling silver hook style or sterling silver lever back style ear wires. Just make your selection when you check out. Apatite Earrings. Titanium Ear Wires. Genuine Gemstone. Blue Drop Earrings.